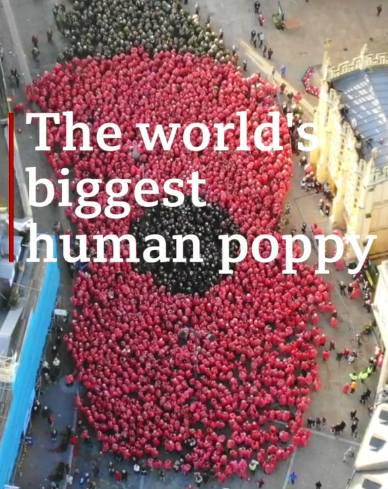 Vale Press were really pleased to be involved in sponsoring the “Human Poppy” event in Cirencester on Remembrance Sunday, November 11th – the 100th anniversary of the armistice. We helped to “get the ball rolling” a few months ago by printing the introductory programme; sponsoring the Zone Boards signage used on the day and providing consultancy for the world record breaking event. On Sunday 3300 people formed a “human poppy” by wearing coloured ponchos to create a sea of red, green and black. Each poncho represented someone who gave the life in WW1 from the Cotswolds. The event was covered by national media including the BBC, Daily Telegraph, Express, Sun and Mirror. A truly fitting way to “Remember”. Congratulations and thanks to all involved – those who organised it and those who attended.